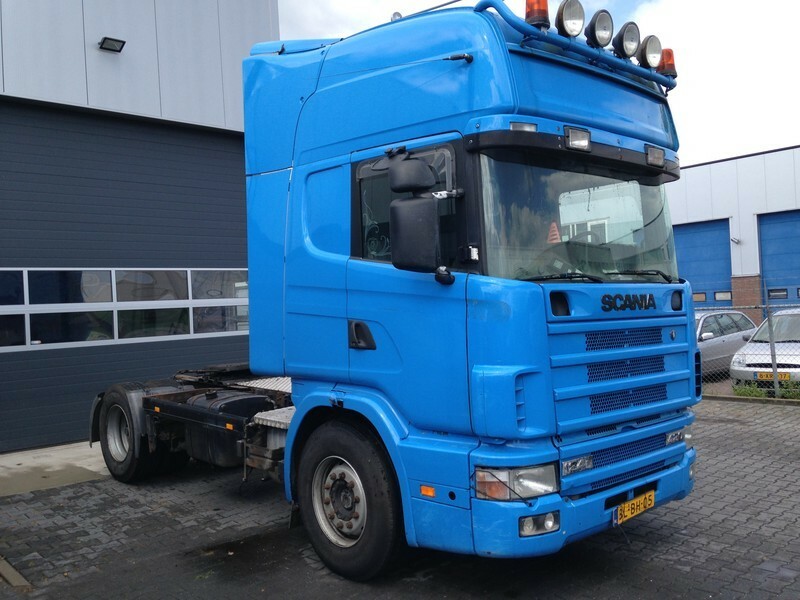 Buy Scania R124 420 Manual Retarder tractor unit by De Bruin Trading B.V. The price is 6950 Euro. Check the technical data of the unit, picked out from the catalog of SCANIA R tractor unit. Engine/driveline: Euro 2, diesel, displacement: 12000 cc, engine cylinders: 6, 420 hp, gearbox: manual, transmission: Schaltgetriebe, power take-off, retarder/intarder. Driving cab specifics: cab type: sleeper cab, cab model: Topline, sunvisor, power windows, electric mirrors, air conditioner, parking heater, cruise control. The mileage is 983117 km.